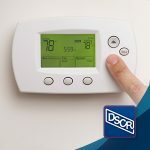 Heating and air conditioning are two of the three most common expenses for both building owners and homeowners, but they also represent a major opportunity for saving. As the seasons change, it’s normal to see your bills increase and decline, but if you are seeing major hikes there may be an issue with your system. Luckily, DSCR can help you find ways to cut down those extreme bills. First off, you need to figure out what is causing the spike. An abnormally high bill can be the first indication that a major appliance is having an issue or about to fail. 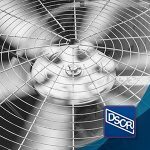 DCSR can perform an inspection to determine if anything is wrong. 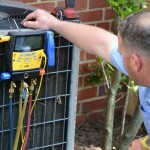 Obviously, one way to curb utility bill spikes is to upgrade your HVAC. Newer models are increasingly energy-efficient. In fact, according to MSI Data, more than 40 percent of exhibitors at the Jan 2017 AHR Expo displayed new products focused on energy efficiency, and this trend has continued in 2018. These HVAC units are more eco-friendly, have better mechanical performance and last longer. So not only are you more likely to save money on your bills, your system will also be better for the environment. It’s an investment in your future. While purchasing a new model will almost certainly reduce your utility costs, it also can be a significant expense in itself. Luckily, there are other ways to cut down your bills, starting with a good old-fashioned cleaning. Filters should be cleaned or replaced at least every 90 days for most models, if not more frequently. When away from your home, don’t make the mistake of turning your system off, as this can cause your system to work harder when you turn it back on. Instead, use a programmable or smart thermostat to set back the temperature by 5-10 degrees when you’re planning to be away from your home for an extended period. Your system and wallet will thank you. 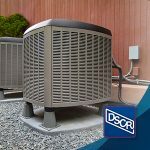 If your system needs an inspection, installation or cleaning, schedule an appointment with DSCR today!